Alumni of the Department of Theatre, Dance and Motion Pictures are invited back to Wright State for a reunion on Aug. 10–12. A few years ago, alumni of Wright State’s Department of Theatre, Dance and Motion Pictures got together for a reunion. This year, they are bringing it back. The second ever Wright State Creative Arts Reunion will run the weekend of Aug. 10–12 and will feature events on campus and in the surrounding area. Jake Lockwood, adjunct faculty of theatre arts and an alumnus of the Department of Theatre, Dance and Motion Pictures, is on the planning committee. He is excited to bring the reunion back and is thrilled about the events he has helped plan. Lockwood was inspired to resurrect the reunion after talking with fellow alumna Shari Macdonald. They began to plan this year’s event, along with two other alumnae, Natasha Randall and Gayle Garrison. Lockwood said in the past reach was limited, but has grown substantially. “With the help of the department, we’re hoping to include alumni from all 40 years and all disciplines and majors,” he said. Attendees have the option of attending events on campus on Friday, Aug. 10, and Saturday, Aug. 11, as well as off-campus events on Sunday, Aug. 12, at Young’s Jersey Dairy in Yellow Springs. 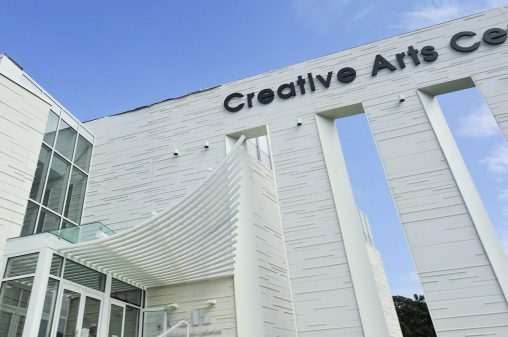 Friday’s events include tours of the renovated Creative Arts Center that begin at 6 p.m., 6:30 p.m. and 8:30 p.m., as well as a reception and a toast to the department, followed by a group picture and a dance party on the Festival Playhouse Stage. On Saturday, from 1 to 5 p.m., there will be a picnic at the Village Apartments. Picnic-style snacks and food will be provided, as well as alcoholic and non-alcoholic drinks. Attendees are welcome to bring any extra snacks they would like. In the evening, Lockwood will host a “cast party” at his house. Organizers also plan to paint the Rock. On Sunday, the alumni will go to Young’s Jersey Dairy for breakfast, followed by activities in Yellow Springs, such as hiking or shopping. Lockwood said that alumni from all over the country, as well as some who live overseas, have responded. He looks forward to meeting with them and talking about where the alumni are now. To register for the reunion, visit the Wright State alumni website. The deadline to register is Friday, Aug. 3. For any questions or potential sponsors, email wsureunion2018@gmail.com.